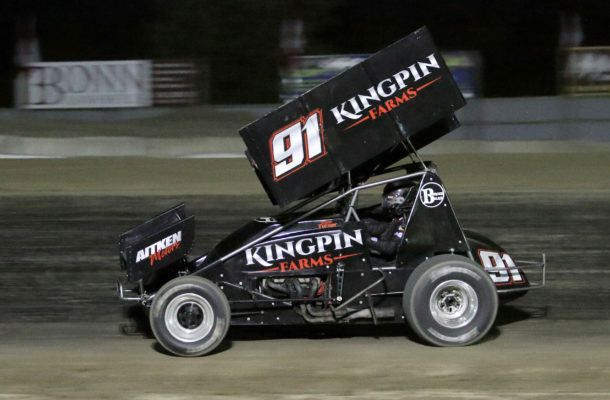 BRIGHTON, Ontario (July 28, 2018) – Ryan Turner is now the third member of his family to score a 360 Sprint Car win, following in the footsteps of father Jamie and brother Cory. 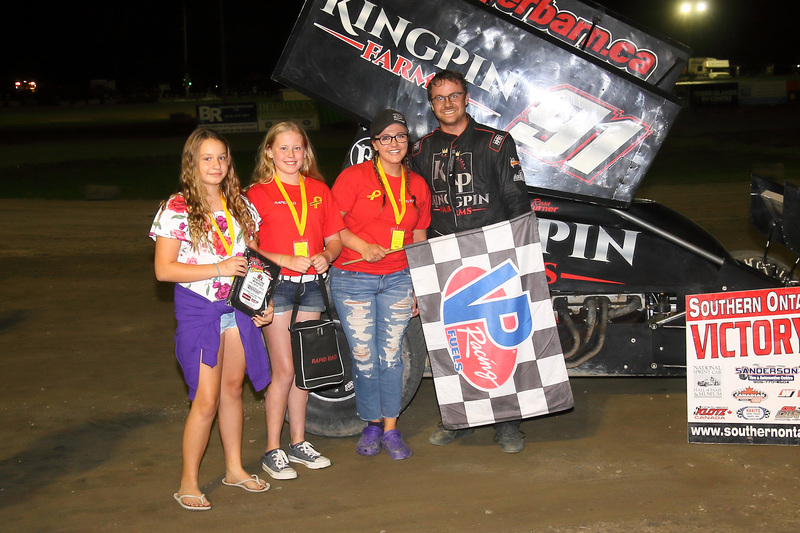 The 27-year-old stole the lead away from Holly Porter late in Saturday night’s 25 lap Southern Ontario Sprints A-Feature at Brighton Speedway, and drove on to victory. Kyle Phillips and Holly Porter made up the front row of the feature race with Porter, fresh off a Crate Sprint Car feature win on Friday at Ohsweken, taking the early lead. Ryan Turner quickly moved up from his third row starting spot to challenge Phillips for second followed by Cory Turner, who was looking to win two in a row at Brighton. Dylan Westbrook’s quest for a third consecutive SOS championship got more difficult when problems with his throttle mechanism caused the 19-year-old to spin twice in the early going before dropping out. The final yellow flag of the race occurred on lap 21 when April Wilson spun in turn four, setting up a dash to the finish. Ryan Turner took advantage of the opportunity to get past Porter and take the win, while Cory Turner took the runner-up spot, followed by Porter, Tyler Rand, and Tyler Hendricks. Jamie Turner, Chris Jones, Shawn Sliter, Frank Baranowski, and Steve Lyons rounded out the top ten. Heat races were claimed by Kyle Phillips, Holly Porter, and Dylan Westbrook, while Tyler Hendricks took the win in the Docks Are Us Dash For Cash.